LCC’s 2015 Annual Fundraiser— So Many Great Ways You Can Participate! 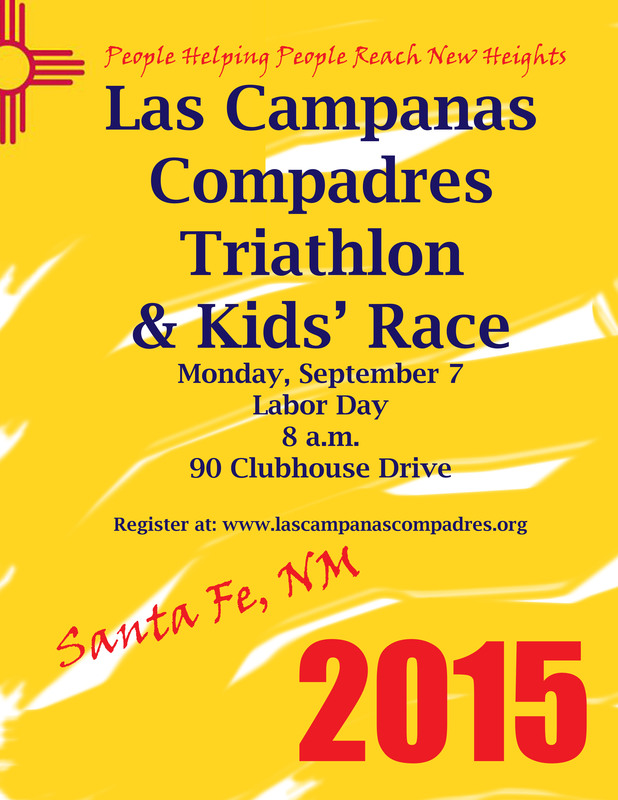 If you haven’t heard, the 7th Annual Las Campanas Compadres Triathlon and Kids’ Race is on Labor Day, September 7 at 8 a.m. There are several ways you can plan ahead and participate in the 2015 annual LCC fundraiser to make it the most successful series of events ever. It’s easy! Click on the “Register Now! green button. It’s always more fun when there’s a crowd to cheer on the athletes. Join us for the race day excitement on Labor Day Monday, September 7th, at 8 a.m., 90 Clubhouse Drive at the Las Campanas Fitness, Tennis and Spa Facility. VOLUNTEERS are always needed for race day. Help LCC reach the 2015 $95,000 budget goal and make the Las Campanas Compadres 2015 annual fundraiser the most successful ever. ONLINE AUCTION — The online display/listing of items will soon be ready for your perusal and bidding (August thru September). Fabulous items have been donated by LCC friends who wish to provide a means for auction bidders to purchase wonderful items while supporting a worthwhile cause. LCC is pleased to announce that the pasta dinner keynote motivational speaker is Tove Shere this year. Tove has over thirty years’ experience coaching athletes at all levels, ages, and disciplines. She is an eight-time member of USA Triathlon World Championship teams with three times as an All-American. She is also a three-time USA Cycling National Champion in Cyclocross and Silver Medalist at Worlds. Your support in any area of the LCC fundraiser provides the ability for Las Campanas Compadres to continue offering no-fee riding and swimming lessons for people with special needs. Your participation in any part of this year’s multi-faceted annual fundraiser will contribute to making a positive difference in the lives of LCC students and their families. You ARE the generous people who help people reach new heights!